Are you using MailChimp for your email marketing? 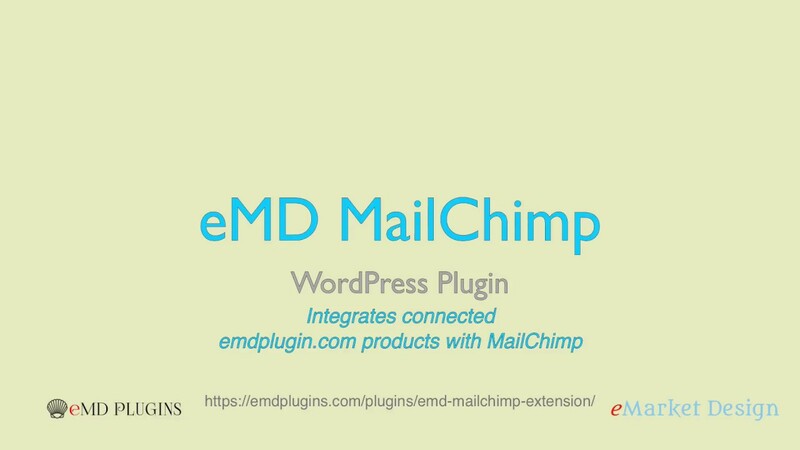 WP Easy Contact MailChimp Addon connects your contact form to MailChimp to grow your email list. MailChimp Addon has an advanced configuration section for your contact form. Connect your contact form submissions to a specific MailChimp list. Pick how you want to subscribe your contacts, automatic or use opt-in. Option to update your existing contacts in MailChimp. Select default MailChimp group(s) to assign contact form submissions. Create complex MailChimp group assignments using predefined criteria. The assignment criteria can be set based on the values of your contact form topic and/or contact groups. Assign MailChimp merge tags to contact form fields such as email, name, address, phone, website, and more.